Sunday night was the night for judges Nick Grimshaw and Rita Ora to reveal each of their top 3 singers who would be joining the other 6 in the live show. As always, there were plenty of drawn out events sprinkled with an unexpected accident that added a little drama to the long two and a half hour episode. British singer and actor Rita Ora picked Louisa Johnson, Lauren Murray and Keira Weathers as her women. Nick Grimshaw’s announcement of his chosen three was a bit more dramatic though. This Radio 1 DJ first announced that 22-year-old Mason Noise would be part of the final 12. Noise has had a very controversial presence on and off the show which has made him unfavorable to many. So when the audience heard his name they reacted by booing to which presenter Caroline Flack begged them to stop doing. But when Grimshaw’s second choice, 19-year-old Che Chesterman’s name was announced, much to everyone's surprise, Australian Seann Miley Moore’s face came up on the big screen. A rather blatant mistake by the producers making his third pick rather predictable. It also has led to many thinking that the show is fixed. During the announcement of the spot for the third place, Seann seemed to be quite surprised as he dramatically dropped to his knees when Grimshaw announced his name. 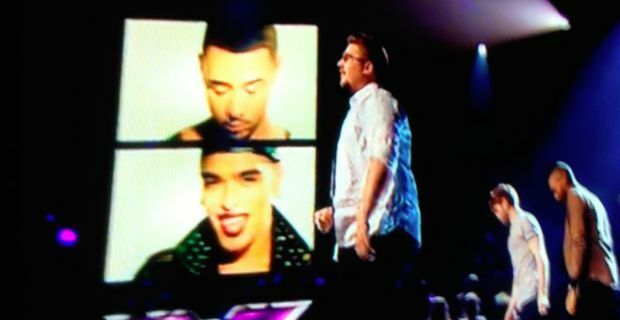 The other three contestants, Simon Lynch, Josh Daniel and Ben Clarke, who didn’t make it the live shows were seen gathered around congratulating him. Who ya gonna call...with Google or Skype?